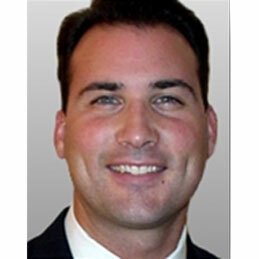 Prior to working in consulting, Chris worked ten years in international transportation. Some of his past companies include P&O NEDLLOYD, NYK LINE, HANJIN and KIDS II. He held positions ranging from Import Manager to Senior Account Executive, giving him “both sides of the desk” experience (sales and purchasing). The majority of this business experience has been dealing with executive level management and sales. Chris has been an International Consultant since 2002 and started his own firm in 2009. He is now based in Atlanta, Georgia (where he has lived over the past 20 years) and is responsible for the US market development and expansion. Originally from New York, he also spent six months living in Madrid, Spain. Clients: Nestle, Volvo, Merck, Electrolux, US Bank, Serono, SAS, Husqvarna, Tullett, Interroll, Pechiney, American Ingredients, JATO, Caravan, Ranstadt, DMV, Sulzer and Nyloplast. Personal: Sports (tennis, basketball, boxing), yoga (he is a certified yoga instructor), the outdoors, and world travel. Chris is an active member of his community. He volunteers with habitat for humanity, project open hand, GARRS (Georgia Reading to the Blind) and is on the zoning board for his area.